There are always certain rules that exist in filmmaking when it comes to sharing a minor, seemingly not too important detail that will be slowly developed into something significant, the way it happens in ANGRY INDIAN GODDESSES. However, not every filmmaker follows those rules, but when it happens you know this film is going to be good, insanely good. In Pan Nalin’s film you see a great example of a film made exactly the same way taught in the book. You just need to pay extra attention to each detail to be able to predict the second part of the film that will leave you completely stunned. Long time friends gathered together to celebrate a very special occasion, but they still don’t know about it. It seems there is nothing that can ever stop them from being positive, being in a great mood and full of joy. But during their time in Goa, the friends learn the toughest way to be who they are. Yes, those who were strong will get stronger. But only one of them won’t reach that far to witness the celebration of life in a society where every day a woman falls victim of men who treat women as nothing more or less but a sexual object. 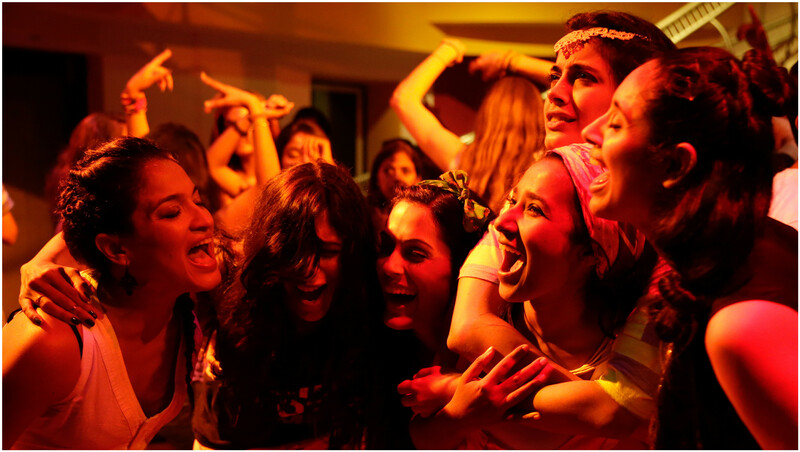 The beginning of Angry Indian Goddesses is quite charming, vibrant and energetic. You will find yourself completely in love with each character. All the women’s fearless attitude and determination is what you feel this film is all about. However, soon after the subject of avenging, suicide, some local men that harasses young women, a girl that loves constantly taking pictures and a gun, that you know, never appears in any movie if it’s not planned to be used will make you to start connecting the dots. But once you will be able to do that, you will have to prepare yourself for the most devastating ending you’ve ever seen. Yes, Pan Nalin’s film is remarkable, but in the meantime, heartbreaking to watch. Because after all, this film is about Angry Indian Goddesses who happened to be a part of society that forces them to display their anger in a way you would rather not be around to witness.